Build the capacity among older people to initiate co-production processes so that their voices can be heard in the process of creating age-friendly environments and services. This program operates under the belief that older people have a lot of experience and knowledge they can contribute in the creation of age-friendly environments and services. Their input is highly valuable to policymakers and organisations, as they will know the everyday limitations, barriers and circumstances of the current environments and services they interact with. By providing their unique perspective through co-production, policymakers and older people can work together to create the best, most age-friendly experience possible and work towards healthier ageing. Will increase the effectiveness of the services and policies which contribute to healthy ageing. As a secondary impact, it will also promote a sense of social inclusion and respect, which have been identified as critical issues by older people for the process of ageing healthily and gracefully. Develop understanding on how European urban environments can be used to promote mental wellbeing and cognitive function for older people through literature and study review from Europe, Canada and the US. MINDMAP, funded under Horizon 2020, aims to increase the understanding of the effect of urban environments on variations and inequalities in mental wellbeing and cognitive function in older people. It will bring together a wide range of information using a collaborative interdisciplinary approach to achieve three specific objectives. To assess the impact of the urban environment on the mental wellbeing and disorders associated with ageing, and estimate the extent to which exposure to specific urban environmental factors and policies explain differences in ageing-related mental and cognitive disorders both within as well as between European cities. To assess the causal pathways and interactions between the urban environment and the individual determinants of mental health and cognitive ageing in older adults. To use agent-based modelling to simulate the effect of prevention and early identification policies specific to urban environments on the trajectories of mental health and cognitive ageing across cities in Europe. The result of MINDMAP’s actions should result in a better understanding of the policies and interventions needed to create urban environments conducive to mental health and wellbeing, rather than detrimental to it. It will create a unique set of tools that policymakers can use to analyse potential policies, and ultimately will work towards improving mental health and cognitive function for older people on a European level. The project ran from 2014 to early 2017 under the Competitiveness and Innovation Programme (CIP), and brought together 13 partners from a diverse range of expertise to work on BeyondSilos. It focuses on bringing together services horizontally, rather than vertically. This means that instead of trying to bring together services within a single care domain, it brings together different care domains (i.e. social care and health care) into a single service domain using ICT. BeyondSilos created specific and detailed pathways which mapped out integrated responses to either short-term home support after an acute episode, or long-term home support, which actors were involved and the required coordination between different care domains. They also developed a framework for the analysis of their pilot programs, and a mentoring project (alongside CareWell and SmartCare) on a number of different aspects to the BeyondSilos approach to integrated care. Aims to create an innovative framework to help cities implement ICT tools and services which can be used to enhance early detection of risk factors for frailty and Mild Cognitive Impairments (MCI), as well as provide personalized advice to help promote healthy behaviour to prevent the onset of illnesses related to old age. Has three strategic objectives: (i) identify populations at risk, (ii) monitor daily activities of identified users in a smart environment and (iii) intervene in case of behaviour change that may lead to deterioration. This program, which ran from 2013-2016 under funding partially from the ICT Policy Support Programme (ICT PCP), aimed to create a set of functional specifications for an open ICT platform which can be used to deliver integrated care to older European citizens. This was done through pilot projects and extensive evaluation on the effectiveness of these projects, as well as their potential for upscaling and adoption in other regions. SmartCare consisted of 23 regions and their main stakeholders in integrated care. Ten of these regions got pilot programs, each of which aimed to explore how integrated care can improve different aspects of independent living for older people. The other regions prepared for early adoption of the programmes developed after the pilot programmes and their evaluations had concluded. Part of their project was the development of a rigorous Evaluation Framework for SmartCare, which is underpinned by principles from cost-benefit analysis and business modelling. Apart from assessing the effectiveness of the pilot projects in improving independent living for older people, this framework was used to investigate the organisational and legal aspects of integrated care. This was used to analyse the pilots with regard to long-term sustainability and the tools or adjustments needed to upscale the services. Aimed to increase the capability to integrate the health and social silos of care together into a more streamlined, effective, and enabling service for the patient through evidence-based service design. SmartCare also aimed to generate a lot of empirical data on integrated care which there had been very little of until this project. SUSTAIN (2015-2019) aims to develop strategies for improving “integrated care” for older adults by working closely with 14 integrated care programs from 7 different countries. Following the collective effort to improve their services, they will compile the lessons learned to develop and share best practices for improving integrated care among the relevant stakeholders, with the intention of enabling healthy ageing through these improved programs. SUSTAIN, funded under Horizon 2020 works towards two primary goals. First, to improve established integrated care initiatives for older people living at home with multiple health and social care needs, and ensuring that they are patient-centred, prevention-oriented, efficient, and safe. Second, to ensure that improvements to the integrated care initiatives are applicable and adaptable to other health systems and regions in Europe. This project aims to accomplish these overarching goals in three phases. Phase 1: Preparation. This includes preparative activities to improve existing integrated care initiatives, such as forming international partnerships and baseline assessments. Phase 2: Implementation research to improve existing integrated care initiatives at selected sites. This phase includes the design, implementation and evaluation of tailored sets of improvements to integrated care, and then an overarching analysis that incorporates the evaluations from all the sets of improvements. Phase 3: Translation to products and impacts, ongoing during the other two phases. This ensures that different regions and countries use each other’s knowledge and experience, and that relevant knowledge can be packaged into tailored dissemination strategies to maximize the uptake of the evidence-based findings from SUSTAIN. This programme is the first foray into integrated care, and so aims to find whether it is effective as a strategy for healthy ageing, and what the best practices are for integrated care. By the end of the project, SUSTAIN aims to have the knowledge and experience it generates filtering down into existing care systems, updating them with the best practices they developed to improve the quality of care. A solution to design and demonstrate the value of feasible interventions on business models in elderly care, enabled by ICTs, to be scaled across National Healthcare Systems. DECI will propose ways to strengthen traditional care organization models, through the support of digital tools targeted for elderly with Cognitive Impairments, based of innovative technologies, information sharing, data interoperability and replicable logics. To pursue this goal, the DECI Consortium gathers partners from five different countries (Italy, Sweden, Spain, Israel and Netherlands), merging academic and research competences-focused subjects, care and social-care providers, healthcare authorities, ICT industry and their broad network of stakeholders. A definition of business plans and economic models, which will be adapted to different application areas within different countries, granting economic feasibility and addressing cost coverage issues related to the implementation of new procedures and technological solutions. DECI is a project funded by the European Commission under the Horizon 2020 initiative, the EU Framework Programme for Research and Innovation [Grant No.643588], under the EU Call PHC20 – Advancing active and healthy aging with ICT: ICT solutions for independence living with Cognitive Impairment. In order to address the economic and organizational impacts of proposed measures and actions, four living lab pilots will assess feasibility, effectiveness and potential economics benefits of proposed measures within specific local healthcare systems and real-life environments in Israel,Italy, Spain and Sweden. An open innovation platform to promote an ecosystem to favor collaborative innovation processes in the field of e-Health and e-Inclusion. 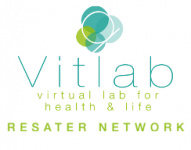 VITLAB is a tool for supporting and exchanging of knowledge in order to encourage the development of social and healthcare innovation, mainly in rural areas. The action of the “TAGS”, consisting of end-users, members of textile manufacturing and innovation community, and scientific partners from different research areas of textiles (textile chemistry and physics, material and fiber processing and nonwoven materials), from various European countries, will support the transfer of knowledge and innovation in the field of new textile products in four main areas of interest: bedding textiles, clothing, textile products for hygiene and personal care, and therapeutic and recreational/leisure textiles. It was funded by the European Union's Seventh Framework Programe and involved partners from several different countries. Cities In Balance aimed to improve opportunities for seniors, moving forward from the traditional approach of intervention and treatment. CIB aimed to reduce reliance on health and care services by encouraging greater emphasis on broader well-being issues. CIB focused on services that improved the quality of life of seniors and helped them to live independently. A key activity was to define and explore innovative strategies to address the challenge posed by an ageing population. It was supported by the INTERREG IVB programme and involves partners in the UK, Belgium, Germany and the Netherlands. CIB grew two pilots that had run previously in Stockport called Manage your Money and Silver Entrepreneurs. In Cities in Balance we could run these across the whole city and extend our reach to Seniors. The Manage your Money pilot was a financial exclusion project targeting older people. The Silver Entrepreneurs Project was an employment project targeting older people to set up their own business. The Dem@Care project has developed a novel closed-loop management solution that offers personal health services to people with mild or mid-stage dementia and supports medical professionals and caregivers. The project received funding from the European Community's Seventh Framework Programme and involved an international consortium of partners. The system includes a multitude of sensors for monitoring vital signs, activity and lifestyle sensors, presence and motion sensors, as well as wearable and static cameras and microphones. This way the system can give context-aware, personalised and adaptive feedback, timely diagnosis assistance and cognitive support. Clinical protocols that will effectively correlate sensorial inputs related to behavioural and cognitive patterns with dementia-specific parameters. Elicitation and validation of new clinical knowledge for improved diagnostic precision and effectiveness. Improved quality of care, through objective, comprehensive diagnosis, and customised reactive and proactive support. Increased safety and sense of security, through real-time adaptive feedback and alarms. Timely treatment of disease symptoms, afforded through early detection of health status degradation and through personalised cognitive support. Sustained independence and autonomy, enabling to better cope with daily life functions, while reducing the need for constant monitoring. Reduced cost of clinical care. Delayed admittance to nursing facilities. Contributes to maintaining the mobility of older people in Europe in order to safeguard their social and economic participation in an increasingly ageing society. It does this by helping them to travel safely and independently by public transport, enabling them to relax and enjoy the journey whilst doing so. an alert which tells the user when it is time to leave the vehicle. The project offers seamless support for the entire length of a journey, across different means of public transport, and in both rural and urban environments. The target group for ASSISTANT is essentially mobile older people, but the system is designed so it is accessible for all potential users. The project is co-financed under the Ambient Assisted Living Joint Programme of the European Commission and involves partners from the UK, Spain, France, Austria and Finland. The most important result will be bringing a product to market. There are two tracks for this: 1) taking ASSISTANT directly from the project to a commercial offering, and 2) incorporating the ASSISTANT results into an existing commercial offering. Supporting these two ends, ASSISTANT will be standards based, and documented (including design rationale) so that the results of ASSISTANT can be used with a minimum of overhead. Partners will also undertake dissemination activities locally. Additionally, the project will pursue scientific dissemination of results via academic and industrial communities. PAHA is a tailored intervention for older adults with different functional capacities: through a supervised and structured exercise programme for senior citizens (55-65 years old), PAHA intends to convert currently inactive people into regular exercisers at a level that is beneficial to their health, supporting the EU Guidelines on Physical Activity and the European Week of Sport. Started in January 2015 and running for 18 months, the project "Promoting Physical Activity and Health in Ageing" (PAHA) is a first initiative from the European fitness sector to tackle the issue of an ageing population. In each one of the 8 project partner countries – Denmark, Finland, Germany, Greece, Hungary, Ireland, Portugal and the United Kingdom – 3 fitness centres run 3 trial sessions of supervised exercise of 6 weeks duration, for 15 participants at each session. For that purpose, the fitness instructors involved in the project receive specific training on both motivational skills and in active ageing promotion. The participation in the trial periods is free and the older adults who take part in the project are offered preferential arrangements for them to continue exercising for a minimum of a further 6 months period as well as some non-monetary incentives. Through a comprehensive evaluation system, the PAHA project develops transversal standards that are made available for education structures of sports organisations across Europe. The PAHA project is funded with the support of the Erasmus+ Sport Programme of the European Union. EuropeActive is the leader partner and cooperates with other 9 not-for-profit associations across Europe in order to develop, implement and ensure the success of the project. These are: University of Coventry (United Kingdom), Johann Wolfgang Goethe-Universität (Germany), SkillsActive (United Kingdom), Portuguese Health and Fitness Association (Portugal), the Hungarian Health and Fitness Association (Hungary), IrelandActive (Ireland), Finnish Health and Fitness Center’s Association (Finland), Attic Union of Gym Owners (Greece), Fit & Sund (Denmark). The project is expected to develop a methodology that will make health-enhancing physical activity more accessible and more attractive, allowing more senior citizens to enjoy regular exercise. This is intended to tackle the serious demographic challenge Europe is facing and allow older people to stay active and remain autonomous and independent. The iStoppFalls Project has been developed to strengthen older people’s physical fitness and to prevent falls by using ICT-based technologies. By doing so, the quality of life of elderly citizens improves and falls related costs can be decreased. iTV application that can be used by participants at home as an personal health advisor to give instructions on the exercises and information for individualised fall prediction and prevention. The evaluation study of iStoppFalls will determine several fall related aspects and provide evidences for a successful dissemination and exploitation. The project will involve representatives of world-leading technology and research experts from both university and industry partners in Europe and Australia and is part of the FP 7 Programme. More than 2.6 million people in Europe have problems with their upper limbs and therefore many of them depend on Assistive Technologies (AT). As the potential of the individual user is very specific, adaptive, ICT-based solutions are needed to let this population group participate in modern society. Such solutions are rarely available on today’s market. AsTeRICS provides a flexible and affordable construction set for developing user driven AT by combining emerging sensor techniques like Brain-Computer Interfaces and computer vision with basic actuators. With the AT developed within the AsTeRICS project people with reduced motor capabilities will get a flexible and adaptable technology at hand which enables them to access the Human-Machine-Interfaces (HMI) at the standard desktop but in particular also of embedded systems like mobile phones or smart home devices. An Embedded Computing Platform that can be configured to combine sensors and actuators to tailored AT-solutions which support the full potential of an individual user. The core of the software suite is provided as Open Source. This way the complete system is affordable for many people who cannot benefit from leading edge supportive tools today. AsTeRICS revolutionises the concept of AT: AT today mostly focuses on a certain task or situation. Due to the growing importance of the PC, AT has been oriented towards standard Human-Computer (HCI) or desktop interfaces. AsTeRICS respects the strong need for flexible, adaptable AT functionalities accompanying people with disabilities away from the desktop, enabling them to interact with a diverse and fast changing set of deeply embedded devices in our modern environment. The APSIS4all consortium was set up to overcome the existing accessibility barriers faced by disabled people, older people and people who are not familiar with ICT when interacting with PDTs, such as Automated Teller Machines and Ticket Vending Machines. Partially funded by the European Commission under the CIP ICT-PSP programme, APSIS4all is a three-year project led by Technosite. It brings together 12 partners from all over Europe, including service providers, PDT developers, R&D organizations and user organizations. The accessible, usable and personalised services will be deployed by 2013 in real-life settings in 65 ATMs of “la Caixa” in Barcelona (Spain), and in 24 TVMs of Höft & Wessel in Paderborn (Germany). APSIS4all will increase user satisfaction, regardless of disability, age or digital literacy, by providing new, customised interaction modes, including adaptive interfaces and interaction through the user’s mobile, thus offering users a truly personalised service adapted to their needs and preferences. SUSTAINS comprises an array of services based on giving citizens online access to their Electronic Health Records (EHR). The services proposed have been distilled from the experience of regions which have already pioneered such access. The SUSTAINS Consortium is composed of regions in the EU leading in the area of innovation in services for citizens. They are supported by a number of user and professional associations all equally committed to the implementation of Key Action 13 of the Digital Agenda for Europe. Regions will share their experiences and achievements to speed up the implementation of the SUSTAINS outcomes. Patient empowerment is high on the agenda of the Consortium, while taking great care in addressing the concerns of healthcare professionals in what could be seen as a revolution in the patient-healthcare professional relationship. Legal and ethical issues associated with online access by citizens to their EHR will also be thoroughly explored, and lessons will be drawn from 11 pilots in 9 EU countries and disseminated to facilitate the implementation of similar services by other regions. Meaningful and measurable indicators have been selected to assess the impact and satisfaction with the services by citizens/patients and professionals. Empowerment of patients: There is a growing tendency by patients and the public to question information from the health system, ask for a second opinion, demand respect and dignity in their treatment, expect convenience, etc. Quality of care: New progress in healthcare means that patients demand, and healthcare professionals want to offer, the best quality of care. Efficiency and economy: There is a growing demand from patients/citizens for improved efficiency and economy. GiraffPlus is a complex system which can monitor activities in the home using a network of sensors, both in and around the home as well as on the body. The sensors can measure e.g. blood pressure or detect e.g. whether somebody falls down. Different services, depending on the individual’s needs, can be pre-selected and tailored to the requirements of both the older adults and health care professionals. At the heart of the system is a unique telepresence robot, Giraff, which lends its name to the project. The robot uses a Skype-like interface to allow e.g. relatives or caregivers to virtually visit an elderly person in the home. Special emphasis in the project is given to evaluations and input from the users so that the system can have an empathetic user interaction and address the actual needs and capabilities of the users. The GiraffPlus system will be installed and evaluated in at least 15 homes of elderly people distributed in Sweden, Italy and Spain. These evaluations will drive the development of the system. To develop a networked system in the home consisting of environmental and physiological sensors. To develop intelligent services which can extract high level activities based on sensor data and provide a robust system. To provide services such as alarms which via the Giraff will allow healthcare professionals and family to enable timely involvement. By 2014 test the system in a real homes around Europe and include user feedback in all steps of the system design. Multinational online-based aftercare program for German and Dutch cardiac rehabilitation patients Type of Action: RENATA is an eight week lasting, weekly support program. It is an individual e-learning aftercare program which addresses the basic elements of the Health Action Process Approach. This will be done by means of work tasks, assignments, model learning to increase self-efficacy, information pages to increase risk perception and positive outcome expectancies, action plans to support the translation of intentions into behavior, as well as coping plans to deal with barriers in daily life. RENATA is an online based intervention for post-rehabilitative medical care, with the aim to integrate skills and behavior patterns, which were gained during the rehabilitation, into daily life of the participants. The goal is to maintain learning results for a long period of time, improve rehabilitation effects at a sustained basis and support the return to the labor market i.e. to work. The objective of this research project is to increase the self-regulatory abilities of participants to the extent that they are able to be regularly and autonomously physically active and eat healthy, so that they will increase their quality of life and become resilient. Subgroup-differences in the effectivity and practicability of the program will be assessed including differences between Germany and the Netherlands, socioeconomic inequalities and across age groups. The program provides the respondents with feedback concerning their current performance with regard to two health related behaviors; physical activity and fruit and vegetable intake. With the use of the program, participants will receive personalized advice targeting self-regulatory strategies on how to positively change their health behavior if necessary or how to maintain the behavior if it already reflects the official guidelines. NU-AGE is a large multidisciplinary consortium with 30 partners, from 16 EU countries, involving nutritionists, biogerontologists, immunologists and molecular biologists from the most prestigious institutions in Europe. Through its research work, NU-AGE will seek to fill the current lack of knowledge on how the whole diet can impact on and counteract age-related disease and functional decline. This will contribute to improved health and quality of life in the ageing population in Europe. The project is supported by the European Commission under the Food, Agriculture and Fisheries, and Biotechnology Theme of the 7th Framework Programme for Research and Technological Development. Based on the knowledge gained about influences of diet on ageing and its potential to prevent age-related disease, foods designed especially for elderly consumers will be developed and the best ways to communicate dietary recommendations to those over 65 will be explored. The Survey of Health, Ageing and Retirement in Europe (SHARE) is a multidisciplinary and cross-national panel database of micro data on health, socio-economic status and social and family networks of more than 85,000 individuals (approximately 150,000 interviews) from 19 European countries (+Israel) aged 50 or over. SHARE was created as a response to a Communication by the European Commission calling to 'examine the possibility of establishing, in co-operation with Member States, a European Longitudinal Ageing Survey'. Covering the key areas of life, namely health, socio-economics and social networks, SHARE includes a great variety of information: health variables (e.g. self-reported health, health conditions, physical and cognitive functioning, health behaviour, use of health care facilities), bio-markers (e.g. grip strength, body-mass index, peak flow; and piloting dried blood spots, waist circumference, blood pressure), psychological variables (e.g. psychological health, well-being, life satisfaction), economic variables (current work activity, job characteristics, opportunities to work past retirement age, sources and composition of current income, wealth and consumption, housing, education), and social support variables (e.g. assistance within families, transfers of income and assets, social networks, volunteer activities) as well as social network information (e.g. contacts, proximity, satisfaction with network). The WIISEL project (2011-214) proposes a new system for obtaining insole pressure information in an ambulatory and continuous way, in order to change the future of ambulatory movement monitoring. The system is based on an insole that monitors the posture of an individual and evaluates gait dynamics via a matrix of printed pressure sensors. Innovations of the proposed system include the wearability of the system through the implementation of an ultra thin and flexible pressure sensor matrix, as well as the use of thin control electronics and battery. As an insole, it will be independent of the shoe, and therefore it will be possible to be introduced in the different users shoes. The WIISEL architecture will communicate at two levels, first with a near element (e.g., smartphone), that can interact with the person. The second communication will be with a remote control management system. This remote control system incorporates an intelligent prediction system that aims to discover patterns and make predictions based on historical and real-time daily behavioural data. In other words, the system is self-learning and user-friendly. This self-learning system will facilitate the prevention of falls by a gait and activity pattern recognition. This recognition will interact with the clinicians and the user enabling prevention interventions like rehabilitation exercises monitoring or recognition of the fear of falling by reduction of activity, and thus permitting a corrective intervention. It is anticipated that this new technology will enable preventing falls in elderly population in general, which is expected to grow by 70% in 2050. It will drive a paradigm shift and empower new clinical and research opportunities, ultimately leading to a reduction in the burden of falls, improved health-related quality, and economic benefits for EUs healthcare system that is faced with caring for a growing elderly population. Long Lasting Memories (LLM) is an EU project, ran from June 2009 to March 2012, that has implemented an integrated ICT platform combining state-of-the-art cognitive exercises with physical activity in the framework of an advanced ambient assisted living environment. The LLM service was tested and validated in 4 EU Member countries (Austria, Greece, Spain and Cyprus) and the LLM pilots were held in up to five consecutive rounds of 3 months testing each (exercising periods of 8 weeks and pre and post intervention testing). Testing was focused upon elderly volunteers who provided feedback to help improve the solution to meet user expectations. The analyses of the results demonstrated that there seemed to be significant improvements in both episodic and working memory, and that longer training durations leaded to stronger improvements of long-term memory function. By combining cognitive exercises and physical activity LLM was able to deliver an effective countermeasure against age-related cognitive decline, as well as cognitive impairment seen in the early stages of degenerative brain diseases, thus actively improving the quality of life of the elderly and significantly prolonging the time they can remain independent at home. HELPS project, financed within Central Europe Programme by the European Regional Development Fund, promotes development strategies and practices improving the quality of life of vulnerable groups, with a strategic focus on elderly and people with disabilities, in urban areas of Central Europe. In particular, HELPS project aims to develop and consolidate innovative housing and care solutions, by supporting models of integrated local governance able to orient policies, products and services. Research. Analysis and evaluation of housing and care options for the elderly and people with disabilities in the countries involved in the project. Experimentations. Realization of eight Pilot actions, one in each country, to test innovative services for home living. Strategies. Elaboration, on the basis of the emerged results, of strategic documents intended to influence decision-making processes at local, national and transnational level. Innovage aims to enable older people to live longer in their own homes by utilising new 'technological supply chains' associated with new developments like independent living and eco-innovation. The project aims to increase older people's autonomy in order to enable them to live longer independently in their own homes. To achieve this, project partners will use new 'technological supply chains' associated with new developments like independent living or eco-innovation, and at the same time they strive to minimize environmental impact of elderly daily life activities. Creating a European network of clusters on eco-independent living to share experiences and knowledge in this area. 14 regional innohubs will be launched to develop a closer working relationship between regional authorities and other actors working on eco-innovation for the elderly. The project aims to develop video communication network enabling immobile senior citizens to organize their social network and choose the activity and select levels of social interaction according to their individual needs, abilities and chosen lifestyle. The project is implemented in the framework of the European Ambient Assisted Living Programme and aims to develop a user oriented technological solution - ';the second best connection' - enabling elderly to have meaningful relationships with others without having to leave the house. Linking senior citizens into a social presence communication network, which is tuned towards their needs, easy and fun to use and reactivates them to choose the activity as well as levels of social interaction according to their individual needs, abilities. empower senior citizens far beyond current possibilities and help them to overcome social restraints, impaired mobility and isolation, so many suffer from today. The project aims to provide facilitation of informal and non-formal peer learning in online communities supported by customized Web2.0 tools for adults aged 50+. The project idea is based on the conviction that 50+ platforms (online social platforms for adults aged over 50) offer tremendous potential for sustaining learning opportunities across the life course in later life. The project partners intend to achieve a significant breakthrough in the innovative application of Web 2.0 tools to enable older people to maintain their mental abilities, to share their experiences and knowledge, to be socially interactive and to gain cognitive self-fulfillment. provision of an EU-wide map of existing 50plus platforms on this website. iAge aims to raise awareness, find possible solutions and implement strategies and actions to increase the economic and social e-inclusion of older people. Communicate the iAge project and its outcomes to other ageing communities in and beyond the North Sea region. In the framework of the project, an ICT toolbox and a web based encyclopedia of age related ICT knowledge (wikiAge) will be developed. The former will consist of training material and software applications, to be tested and evaluated by target users in different countries whilst the latter will be open for contributions from partners, interested groups and the general public. The aim is to minimise negative effects and impacts of demographic change in Central Europe in order to foster economic growth, regional development and social cohesion. raising awareness on demographic change, developing ageing strategies as well as state-of-the-art training concepts. The expected results of the Platform is to set up a joint Forum on Ageing in Central Europe, implement 9 regional/local pilots as well as the implementation of innovative measures and services for SMEs in the field of age management, life-long working and work-life balance. The Regional Telemedicine Forum is a joint initiative of 9 European regions under the INTERREG IVC programme. The project intends to deliver policy recommendations and Good Practices Guidelines addressing the key challenges that hinder the wider use of telemedicine. suggest policy recommendations to European regions. Workshops, study visits, virtual meetings were organized which focused on telemedicine services related to three major chronic diseases: diabetes, smokers' lung disease, and cardiovascular disease. The Good Practices Guidelines have been developed and will contribute to the successful transfer of telemedicine services between regions, to the improvement of regional policies and service and will provide new knowledge and skills to all involved stakeholders. The project's objective is to develop a lasting and growing European partnership of organizations at all levels to promote the wellbeing and dignity of vulnerable and disabled older people and prevent elder abuse at all levels and in all settings through the promotion of quality long-term care. WeDO project involves 18 partners from 12 countries and is coordinated by AGE Platform Europe. The aim of forming a lasting partnership is to offer space to exchange good practices, disseminate information and receive support to improve quality of life of older people in need of care and assistance. The project intends to develop a voluntary European Quality Framework for Long-Term Care in institutional, community and home care settings. This framework will comprise a set of fundamental principles that all partners will develop together and will agree to adhere to. The project partners seek to establish a European Partnership Guide which will include recommendations for participatory quality development, control and labeling tools. These tools will be based on the European Quality Framework and will be adaptable to different national/regional structural and legal contexts. The inCASA project creates citizen-centric technologies and a services network to help and protect older people, prolonging the time they can live well in their own home. The project integrates solutions and services for health and environment monitoring to collect and analyze data in order to profile user behaviour, implement customized intelligent multilevel alerts and communication services. The target group of the project is European citizens, over 65 years old, living at home alone with a sufficient level of autonomy but may have a need to improve self-confidence and ability to cope with day-to-day life. Home Sensor Networks and Human Monitoring Sensors monitor the lifestyle of older people living at home alone and can interact if it is needed so. SOCIABLE introduces a radically new approach for ICT assisted cognitive training and social activation for a wide range of senior citizens including cognitive intact older people, older adults with Mild Cognitive Impairment, as well as patients suffering from mild Alzheimer's disease. SOCIABLE supports personalized cognitive training interventions designed according to medically sound principles covering all the cognitive skills. It will integrate, deploy and operate an innovative ICT-enabled on-line service for assessing and accordingly reinforcing the mental state of the older people through pleasant gaming activities for cognitive training, while at the same time boosting their social networking and activating their day-to-day interpersonal interactions. SOCIABLE is envisaged as a service with high potential for societal impact that could add significant value to current service offerings of care services providers. Furthermore, it is associated with a clear business potential for sustainability and wider use by care service providers within (but also outside of) the SOCIABLE consortium. Medical experts and other health professionals to manage the medical records of the ageing population in a well-structured fully electronic manner. Computer-based access to the medical records facilitates information management and reporting at various control points within a given cognitive training programme. Medical experts and other health professionals to design and customize cognitive training and social interaction activities to the individual needs of their patients. Older people to undertake cognitive training exercises and social interaction activities, in the scope of a motivating play environment empowered by the surface computing platform. FARSEEING aims to promote better prediction, prevention and support of older persons, by long-term analysis of behavioural and physiological data collected using Smartphones, wearable and environmental sensors: leading to self-adaptive responses. FARSEEING aims to build the world's largest fall repository. This will include samples of both high functioning communitydwelling elders and high-risk groups of fallers. The architecture of the database will facilitate collection, analysis and processing of data related to falls, daily activity and physiological factors. The inclusion of a longstanding cohort study ensures a representative population sample, which is urgently needed to translate technological advance into real world service provision. The AENEAS - Attaining Energy-Efficient Mobility in an Ageing Society project aimed to improve the attractiveness of sustainable transport towards older people. Five cities (Donostia-San Sebastián, Kraków, Munich, Odense, Salzburg) focused on offering energy-efficient mobility in ageing societies together with leading European players in the field of older people's mobility. The project reviewed case studies across Europe to encourage people (in particular older people) to use public transport and cycling instead of using their car and to change their ways of moving. The AENEAS project (from August 2008 to May 2011) was co-funded by the Executive Agency for Competitiveness and Innovation (EACI) under the Intelligent Energy Europe programme. Enabling and encouraging older people to use energy-efficient mobility in five European cities through concrete measures in the areas of mobility management, training, awareness raising and communication activities. Improving the attractiveness and safety of energy-efficient modes by small-scale, innovative interventions. The AENEAS project published "A guide to mobility management in ageing societies" which is available here. The radical change of the age structure can be identified as a general phenomenon, present throughout Europe. Prolonging the physical and intellectual activities of the elderly is essential to solving the mounting problems, associated with this demographic change.This project is specifically focusing on enabling active and healthy ageing by developing specific actions for the local and regional authorities. These actions are concentrated on two interlinked areas: public services and urban environment. It is important that Q-Ageing project support the initiatives of the elderly, factoring them into the decision-making process. The Q-Ageing Project established in cooperation with nine European cities/organizations aims at improving the living and working environment of the elderly people. O4O was a research and development project funded by the European Union Northern Periphery Programme from January 2008 to December 2010. O4O was a response to emerging policy across the European Union suggesting that people in communities should become increasingly involved in providing their own basic services. Policy implies and suggests that this will have benefits for communities (development of social capital and capacity) and for individuals (developing social contacts, helping to improve wellbeing and health). O4O sought to test whether communities wanted to develop social enterprises (not-for-profit social businesses) to provide basic services and what effects this work has on communities and individuals. O4O's has gathered a lot of knowledge about what might need to happen for communities to develop social enterprises to provide services; some of this knowledge has been used to produce a Toolkit. The project suggests that there are potential health and wellbeing benefits for older people to be derived from involvement in setting up and running an O4O initiative. At the same time, it also highlights that involvement in service delivery can become a ';burden' for citizens. Recognize that older people contribute to sustainable, vibrant communities. Maintain people living independently in their communities for as long as possible. Include people of all ages. Develop resources that already exist within communities to promote the health and wellbeing of older people. Recognize that older people greatly help each other to live in their communities. View older people as a positive force and as valuable assets. The concept behind the project was to test policy rhetoric about the role of individuals and communities in accepting responsibility for their own care and support and the changing role of public services from top-down delivery to co-production. If communities are to do more, how do they go about it? What does it involve? Do all communities have the capacity to do this? And what are the implications to individuals in communities of taking on the responsibility of developing and running services? future agenda for older people's services. The physical and emotional health of the care-giver is of vital importance if they are to continue to provide care in the home. There is evidence to suggest that care-givers are at risk of becoming';patients' themselves. In general, the more intensive and demanding the caring role is, the more likely that care-givers will experience adverse physical and psychological effects. Care-givers have been found to be three times more likely to report ill-health than the non-care-givers' population. The Life After Care' partnership (2008-2010) of 5 non-governmental organizations brings together organizations involved in training, support and advocacy of family care-givers to address the issues faced after they have ceased in their caring roles. It aims to strengthen local and national strategies concerning informal training of former family care-givers to help their reintegration into society after they have ceased in their caring role. Care-givers provide unpaid care by looking after an ill, frail elderly or disabled family member, friend or partner. According to EUROFAMCARE, over 100 million unpaid care-givers are estimated in Europe (25% of the overall European population), mostly women. A former care-giver has been defined as someone who has ceased caring in the past two years. This target group is considered particularly vulnerable. Caring can isolate care-givers from friends, family and local community. Over time this isolation can mean that some care-givers lose their confidence and getting back out into the world can seem a daunting prospect. July 2010 saw the official kick-off of Go-myLife, a research project that sets out to improve the quality of life for older people through the use of online social networks combined with mobile technologies. Since October 2010 older people have been taking a central role in the project; through workshops they are sharing their thoughts and ideas on the concept, outlining their needs and preferences and explaining how they would like to use mobile social networks in their daily lives. This project, with a total budget of 2.4M€ is funded by AAL, a European Commission research programme promoting the development of technologies for Ambient Assistive Living. The project is led by the Research and Innovation division of ATOS Origin (Spain) and a team of developers, experts and end-user organisations from across Europe, including: The 451 Group (UK), Institute of Communication & Computer Systems (Greece), Zentrum fuer Soziale Innovation (Austria), IS Communications Ltd (UK), Andago Ingeniería S.L. (Spain) and Stowarzyszenie Spoleczenstwa Wiedzy (Poland). Go-myLife is developing a mobile social networking platform customized to the needs of older people, supporting easy interaction and communication with their peers and family members, as well as providing easy access to relevant geographically based information. Despite still being in its initial stages, Go-myLife is already closely connected to its primary user group: elderly people. Connect in Laterlife is created by a consortium of six partners representing Ireland, Poland, Germany, Finland, Italy and Portugal with funding from the European Commission under the Lifelong Learning Programme 2007 - 2013. With collective expertise in the areas of vocational education and training, direct engagement with older people, advocacy and advice, technology and community development each partner established local working groups to ensure that the views, needs and support requirements of older people where at the heart of the project's development process. A survey of 653 older people conducted in 2010 continues to inform the work of the consortium, ensuring content and accessibility preferences are achieved. The project provides support and guidance to older users and those working with them. The project is also encouraging e-accessibility, including software and co-operation with local and regional service providers to render online content more accessible. 'Independent' is a European pilot project that brings together twenty partner organisations across six European Member States. Jointly, they have set up an ambitious work programme which aims at better capitalising on information and communications technology (ICT) when it comes to supporting older people in their communities. The ultimate goal is to empower older people to maintain their independence. This pilot project started in January 2010 and will end in December 2012. It is part-funded by the European Union's Competitiveness and Innovation Framework Programme. Milton Keynes Council's Telecare service working in partnership with Milton Keynes Foundation Trust Hospital and Community Nursing Service (Community Matrons and District Nurses), provided more than 100 patients with telecare and telehealth equipment in their homes. All patients were provided with a Tunstall Lifeline Connect+ home telecare unit, which allowed them to raise a call for help if they require assistance, either by pressing the button on the unit or on their personal trigger. This in turn raised an alert at a monitoring centre where trained operators were available to talk to patients 24 hours a day, and action an appropriate response. The patients also used mymedic telehealth equipment to measure their vital signs daily, and these results could also be viewed at the monitoring centre, where the relevant clinician could be notified if necessary, enabling them to take prompt action to stabilise the patient's condition and thereby avoid unplanned episodes of care, such as hospital admission. The new project means that, for the first time, the same monitoring centre receives alerts and information from telecare and telehealth equipment, allowing both sets of data to be viewed together. 79% of end users stated they experienced major benefits from the programme. These benefits included increased control/self-management, their relatives feeling reassured, fewer visits to their GP and a more active daily life. 88% of carers said having the system had resulted in major benefits, including being more able to help, fewer worries about the health and safety of the person they care for, and trusting that early intervention will take place if a problem arose. Care staff also reported that the service had a positive impact on clients, providing reassurance that their condition is being constantly monitored. They reported a reduction in exacerbations, and the number and length of hospital admissions because of prompt treatment. In terms of cost savings, 168 hospital admissions and 85 GP visits were avoided based on 108 patients enrolled in the service. In summary, the project provides clear evidence of the benefits of integrated health and social care support underpinned by telecare and telehealth to people with long term health and care needs. This is a senior volunteer exchange project (2009-2011), financed by Grundtvig, between two associations in Romania and Portugal. The volunteers learn from each other about how they can use their experience and knowledge to make an important contribution as active European citizens. The main aim of this project was to raise seniors' awareness of social shortcomings, to motivate them to seek solutions, to convey the broad range of European possibilities - particularly in view of its enlargement - for remaining active and performing volunteering work up to advanced old age, strengthening the solidarity between young and old through best practices in our countries and elsewhere. The project focuses on boosting the enthusiasm and motivation of senior volunteers, improving their quality of life and getting pride from the contribution they can make within their communities. The senior volunteers organized learning events (workshops, cultural shows, presentations etc) with target groups from economically and socially disadvantaged areas-medical centers, homeless children, imprisoned minors, cultural houses, libraries, educational centre from the rural area. SEVEN is a European network (2007-2011) of 29 organizations promoting lifelong learning and volunteering for senior citizens. The member organizations are local governments, NGOs, research centres and universities. The main aim is to generate international exchange, and allow for voluntary work and lifelong learning to benefit from a 'European Wide Space'. This thematic network was the result of several pilot projects that experimented transnational exchanges of senior European Volunteers. These proved to be powerful educational tools not only for the senior volunteers taking part in projects based in a different European country, but also for the organizations of the civil society and the local communities hosting them. The network was based on 4 European projects and several bilateral actions between local and regional governments. This network aimed at providing a platform for all its participating partners to exchange information, expertise and good practices. It dealt, among the other issues, with the practical organization of senior volunteers exchanges, including measures such as pre-departure trainings based on intercultural and intergenerational learning as well as the development of personal skills according to a strategy that would accompany the senior volunteers after the periods abroad to include them in social work at local level. Research on the impact of international voluntary service on the lives of the senior volunteers and on that of the hosting organizations. As part of this project, a website displaying many training and information materials, including a database with all the opportunities of international voluntary service for senior volunteers and a “partner finding service” for organizations was created. Lately an exchange blog of expertise and good practices among volunteers was also launched. Four open international meetings offered the chance to all the partners but also to the greater public and the media to learn and contribute to the network and its activities. The partnership released two handbooks in 4 languages: one is a guidebook devoted to volunteers and organizations aiming at introducing them to senior volunteering abroad and the other one is a pre-departure training course targeting senior volunteers who are due to leave abroad for a volunteering exchange. Finally a 30-hour training course to all the involved organizations was offered twice. Participants could get a grant from the in-service training action of Grundtvig. This research project (2008-2011) investigates how changing social context affects social integration, well-being and intergenerational solidarity across different European nations. It looks at how demographic ageing affects all age groups and the links between older and younger family members, between different points in time and between the different national and regional contexts. It aims to provide a better basis for sound policy-making in promoting intergenerational solidarity and avoiding risks for social exclusion or all groups. A consortium of nine partners organized in six teams carried out the project. All partners are involved in the Gender and Generations Program, a system of nationally comparative surveys and contextual databases, which aims at improving the knowledge base for policy-making in UNECE countries. The consortium represented a wide range of substantive, methodological and policy expertise. As a result of MULTILINKS project, a database with comparative indicators for all EU 27 countries (plus Norway, Russia and Georgia) of legal and policy frameworks shaping financial and caring responsibilities in families (gendered intergenerational regimes) was developed. Care was taken to harmonize information across countries and to be explicit about decisions taken in quantifying the indicators. The usefulness of the MULTILINKS database was illustrated in several studies. A key message for policy makers is that national policies should seek to support intergenerational care regimes without reinforcing social class inequalities and gender inequalities. Within these domains, different policies and legal norms are covered, such as family allowances, pensions and long-term care provision. Alpha-to-Omega offers new learning materials for senior learners in adult learning provision. They are asked to share their skills and competence acquired throughout. The project developed and implemented educational tools for lifelong learning for senior citizens using the methods of social participation, volunteering and inter-generational dialogue. Different modules were developed and delivered to senior citizens through an innovative methodology encouraging co-operation and dialogue between senior citizens and members of younger generations. Modules concerned love and partnership, music, photography, living history, volunteering, technology and media, literature and cultural heritage. Background: Between 25% and 75% of falls among senior citizens involve an environmental component, most of which are within in their own home environment. Aim: Through this module senior citizens are provided with information about home hazards that could lead to accidents, and guided them on how to intervene in their home environment so as to make them less prone to falls. Objectives: (1) To show what the risks of having an accident at home are; (2) To identify the most frequent accidents at home; (3) To demonstrate the most effective and practical means of protecting against accidents. Resources: (1) Questionnaire on falling risk; (2) Information pamphlet; (3) Home safety checklist; (4) Poster; (5) Pen and pencil. Background: As more frequent users of medication senior citizens, especially those with low levels of literacy are more prone to inappropriate prescription, adverse drug reactions, and non-compliance with prescribed medication. Aim: Through this module senior citizens learn about the correct use of medication emphasising adherence, the dangers of overdose and the practicalities of correct use. Objectives: (1) Raising awareness about the most common problems related to the use of medication; (2) Teach how to recognise symptoms related to incorrect use of medication; (3) Provide practical advice on how to avoid medication related problems. Resources: (1) Questions and answers; (2) Information pamphlet; (3) Medication chart; (4) Pen/pencil. Participants reported that the information received was valuable for their well-being, and expressed a desire to participate in similar activities. PROLEPSIS is currently planning to implement the project in seven senior citizens’ clubs, with the aim of reaching approximately 700 participants. The project will be formally evaluated.